What Year Did Grandma Want a 21st Birthday Balloon? Even trivial images should contain source information–what you know or think is obvious others will not. Any reasoning should be briefly included on the image so others can be aware of it. Not all items are as mundane as a grocery list, but any image you create of a personal item should include some provenance and sourcing information. In some cases there may even be a story to include with the item. And sometimes the most common of images can cause us to remember the best stories. The US Federal government did not just take population census schedules. There were occasional census schedules that asked about manufacturing, agricultural production, mortality during the year preceding the census date, and various other social statistics. Most of these supplemental schedules were maintained during the 1850-1880 period, but there are exceptions. It’s possible to learn something about your relative in the census besides who is in the household (depending upon the year). What’s Different Here Besides the Name? Learning about these things in the new location will help your research. Don’t assume that the address was the only thing that changed when your ancestor moved. 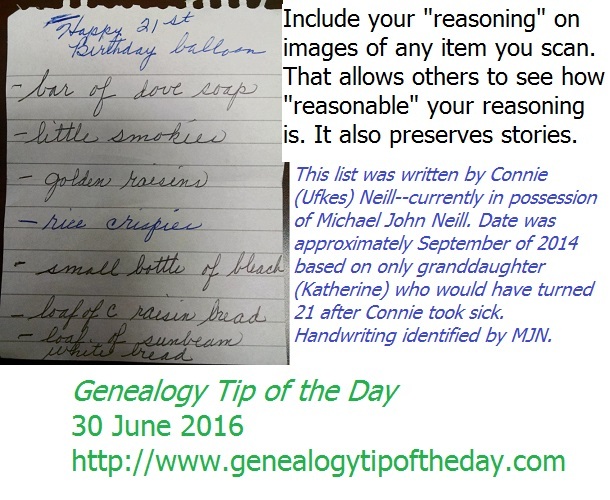 I’m very grateful to our sponsor GenealogyBank for their continued support of Genealogy Tip of the Day. Their latest offer for readers, fans, and followers is running through the end of the month. Hopped On the Train to Marry? 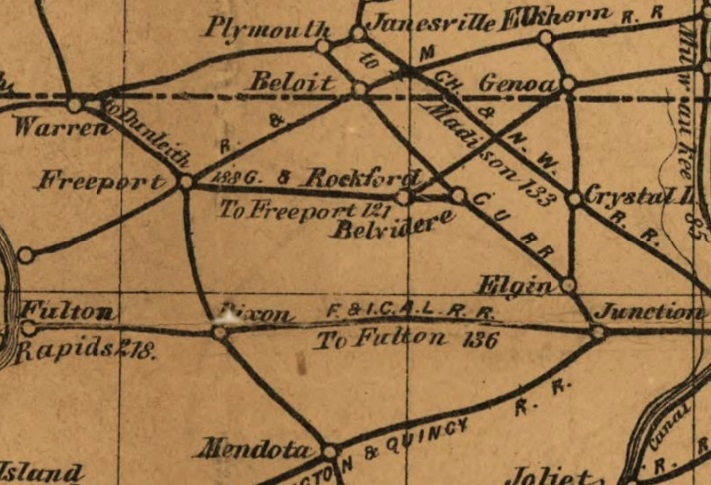 Is it possible that your ancestors took a train to a nearby county seat to elope? Some couples would venture to a nearby county’s county seat so that the license would not be published in their own local newspaper. During the right time period, the train could be a quick way to do that and keep locals from finding out the news before the couple was ready to disclose it. 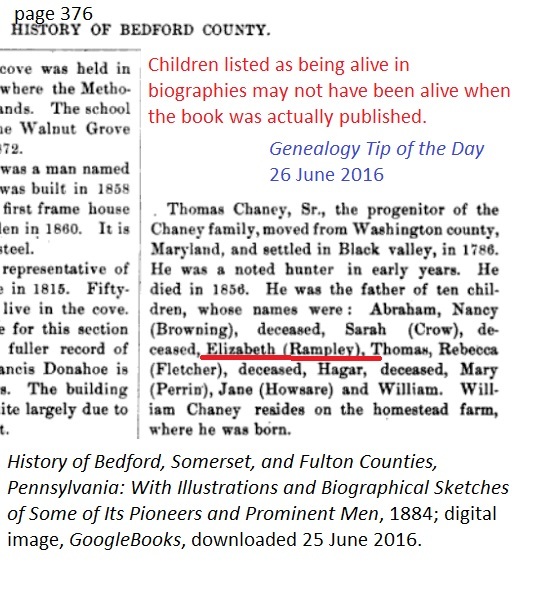 This 1884 biography of an ancestor indicated that some of his children were dead. They may have been dead for decades or may have died just before the book was compiled. 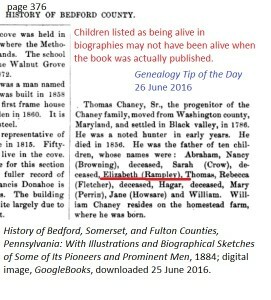 Daughter Elizabeth (Chaney) Rampley actually died in 1884 and her death serves as a reminder to take care in using published materials as “proof of alive by dates.” Individuals not listed as deceased could have died after the compilation date or could have lost touch with the family–in which case no one really knew if they were alive or not. Those names that were immediately before and after your ancestor on a census or a tax list probably lived relatively near your ancestor, but do not assume that they shared a property line or lived a ten minute walk from each other. 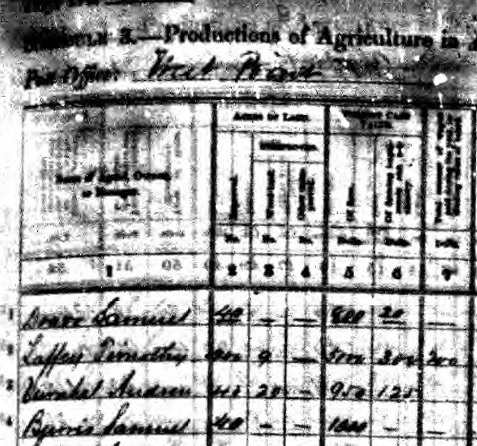 My paternal grandparents who lived on a farm during the 1940 census enumeration are on the same page with people who lived in the same township, but were actually three or four miles away. The adjacent landowners are enumerated nearby, but are not the names before and after my grandparents. What Did Not Change When She Married? her parents–she may have lived near them after her marriage. They may have lived with her in their old age. the names of her unmarried sisters–they may have lived with her at some point in their lives. 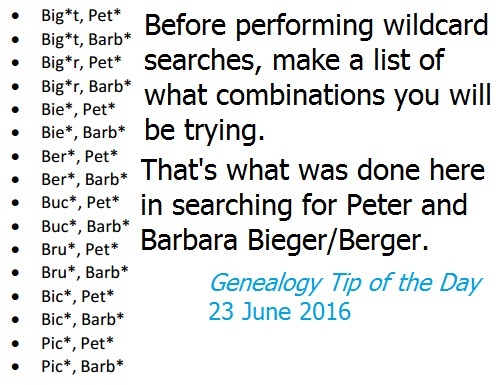 All of these can be ways to search finding aids to some records in your attempts to find the missing married female ancestor. 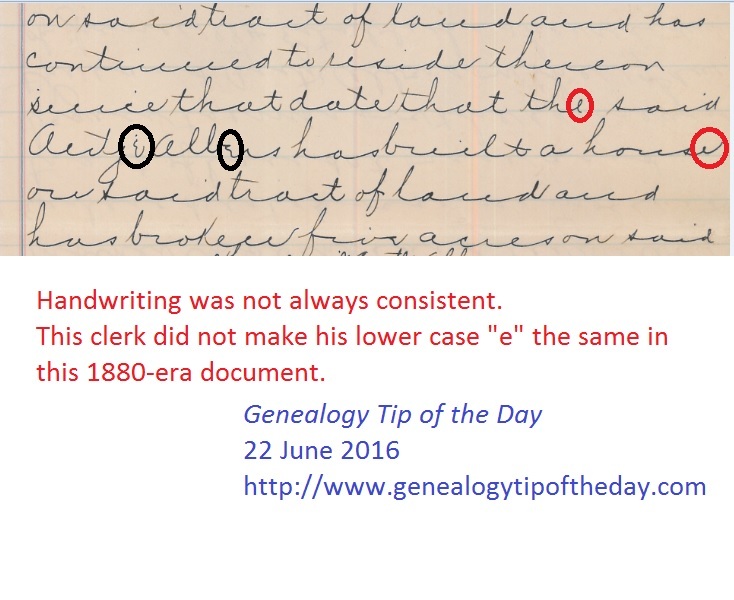 The way a clerk or scribe makes his letters can change even within a document–sometimes. This clerk who wrote this 1880-era affidavit from Nebraska made his lower case “e” differently in different places in the document. It’s still an “e” no matter how he made it.